I’ve recently started wakeboarding and even though I am a professional kiteboarder, starting wakeboarding has been quite a learning curve! So I thought I’d make it a little easier for those of you who are interested in starting! You can learn from my mistakes! If you are originally a kiteboarder like me, then rest assured that wakeboarding will come very naturally to you! If you are a confident kiteboarder, you will easily be able to get up and ride while wakeboarding either behind a boat or at a cable park. This also works the other way around. I’ve noticed that wakeboarders learn kiteboarding so easily since they already have all the board skills and strength! My favourite wakeboarding gear is Ronix. What I love about them is that I can use my bindings on my kiteboard as well. The boots have worked so well for me during kiteboarding and wakeboarding and they seem to last forever, even though I use them daily! The boards and boots from Ronix are also the best quality I have ever seen and the bright colours are just the cherry on top. But don’t take my word for it, just look at the pros (wakeboarders and kiteboarders) and you’ll see most of them are using Ronix. I get my gear from River Buoys. Check them out on Instagram and Facebook or call them at 016 100 8080. Give them a shout and they will take every effort to make sure you get the best gear for your specific needs. Where is the best place to start? Behind a boat or under the cable? In my experience, I found that learning wakeboarding behind a boat is a bit easier than at the cable park. Getting up on the board is a little more tricky behind a boat, especially if you don’t have good board skills, but once you are up and going it’s easy to stay up and ride. Whereas at the cable park, you can get going easily but the difficult part comes when you have to go around the turns or avoiding others if the park is very busy. And if your park doesn’t have a boat service then you may need to do some swimming after you crash! The Wetsleeve really came to my rescue during my time at the cable park! 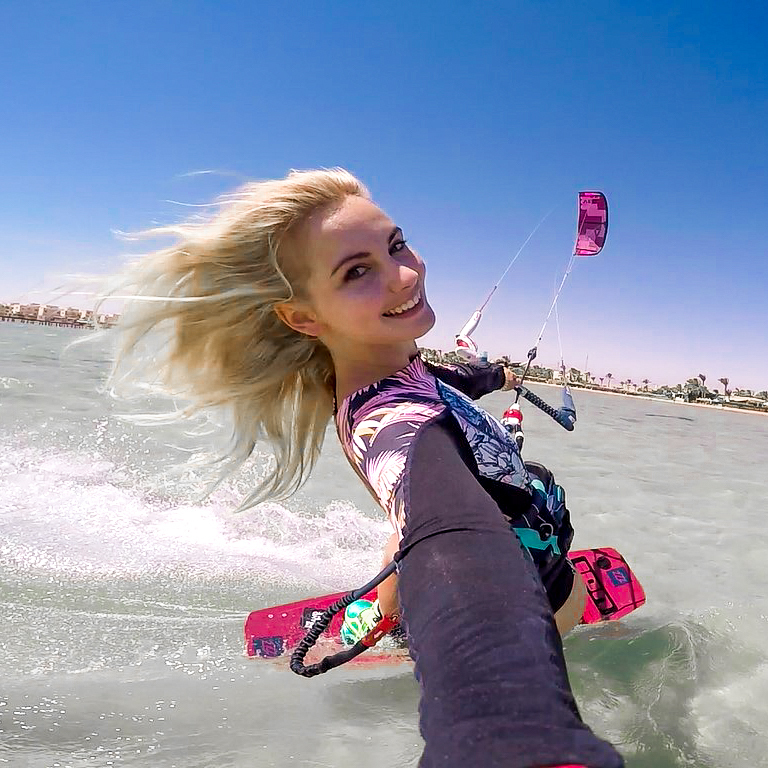 Even though I can kitesurf for hours without feeling tired, wakeboarding has a lot more pull on your arms and after just a few minutes I felt exhausted! At first I kept having to stop so that I could go back to land and drink water. So I realised this would be the perfect opportunity for me to try out my wetsleeve! For those of you who are not familiar with the wetsleeve, it is a sleeve that you wear on your arm, which you can fill up with water. So that while you are working out, walking, kitesurfing or even wakeboarding you can drink water! I wasn’t quite sure how it would work out for me since I am so new to wakeboarding and I still need to concentrate a lot on what I am doing. But as soon as I put on my sleeve, I could spend as much time as I wanted on the cable, sipping some water whenever I needed! I am never leaving home without it. Just like kitesurfing, during your first moments wakeboarding, there’s an indescribable feeling that arises. Whether it’s the wind in your hair, the silence above the water, the freedom, the overcoming of fear, the adrenaline or even just the feeling of being out in the sun. Whatever the feeling is for you, it’s that feeling that you will never forget and it’s that feeling that will have you coming back over and over. It’s what you’ll dream about and it will be all you want to talk about. It’s the start of passion. It’s the start of a happier and healthier life!